Guests enjoy the early morning at their leisure; jogging, taking a bicycle ride over the dunes, or simply watching the birds, whilst the weather briefing is prepared. Breakfast is served at 08h00 and as already mentioned the buffet is extensive. The daily briefing typically begins around 08h45. Reports on the flights of the previous day and the prospects, opportunities and risks for the present day are discussed. Other related topics are also addressed such as the departure time to the airfield, any repairs, refuelling and oxygen etc. All new pilots also receive a detailed safety briefing, and learn details about flight operations and laws of flying in Namibian airspace. Checkflights will also be made to ensure that each pilot is well prepared for the rather demanding soaring conditions. We then travel to the airfield about 3km away and all preparations for the days flying are made under the shadenets. Parkingspots under the shadenets are provided with a water hose, tie-downs and two containers for glider covers etc. Oxygen, Avgas and 2-stroke oil are available at the airfield. Assistance is available at all times. After landing, the gliders are tied down for the night. The return trip to the farmstead in the late afternoon or evening often turns into a short game drive with springbuck and kudu sometimes crossing the road. The IGC- Files are downloaded and sent to the OLC free of charge. 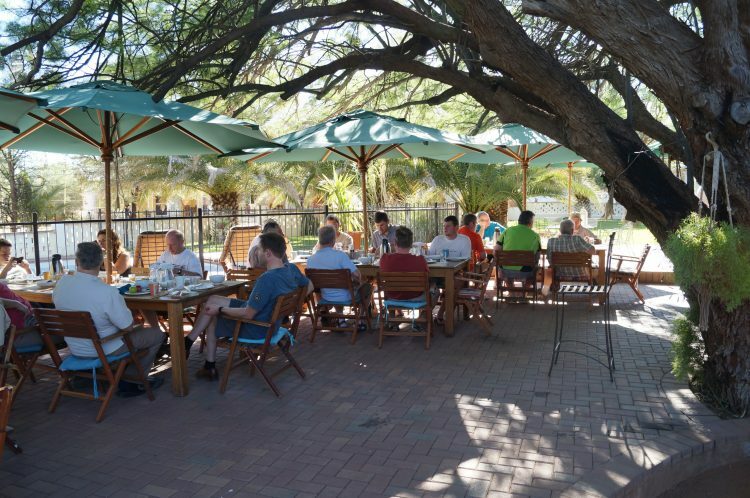 Before dinner enjoy an ice cold Namibian beer (brewed according to the German Purity Law) or a delectable South African wine on the terrace, followed by a delicious dinner. For non-flying guests, or for those days that pilots might not fly, one can relax at the swimming pool, play tennis or table tennis. 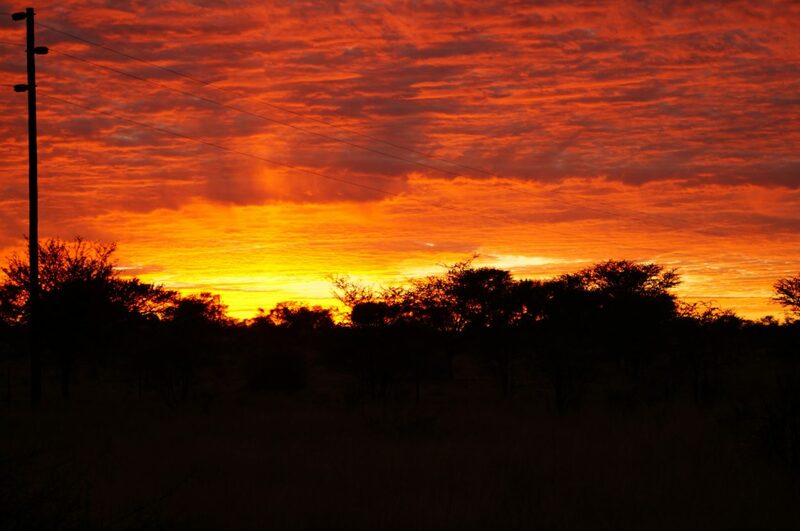 The Van der Merwe team will also arrange (upon request) a sundowner trip to the dune, game drives, excursions or flying safaris. Often our non-flying guests join Jos on the farm, controlling the watering stations, feeding sheep or whatever must be done.